LOCATION.--Lat 41°40'05", long 74°46'50" referenced to North American Datum of 1983, Sullivan County, NY, Hydrologic Unit 02040104, on left bank about 400 ft upstream from bridge on State Highway 17B, and about 700 ft upstream from Creamery Brook, in Mongaup Valley. PERIOD OF RECORD.--Occasional low-flow and/or miscellaneous discharge measurements, water years 1949, 1957-61, 1965, 1970, 1973-74. October 2002 to current year. GAGE.--Water-stage recorder and crest-stage gage. Datum of gage is 1,068.40 ft above NAVD of 1988. 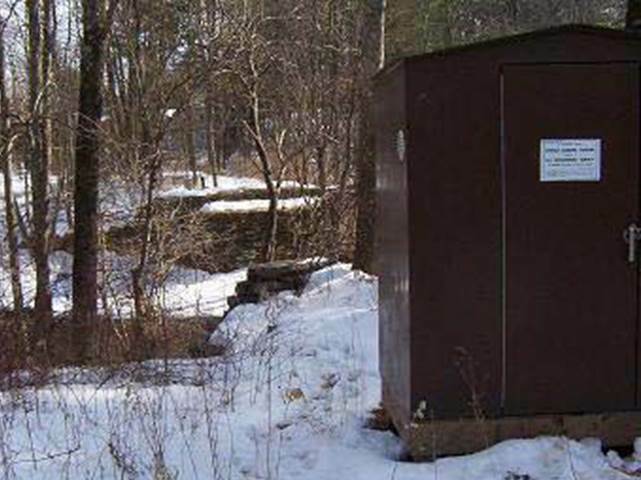 Prior to Nov. 17, 2005, at site on opposite bank at same datum. EXTREMES FOR PERIOD OF RECORD.--Maximum discharge, 7,630 ft³/s, Apr. 3, 2005, gage height, 13.47 ft, from rating curve extended above 2,800 ft³/s on basis of contracted-opening measurement of peak flow; minimum discharge, 9.5 ft³/s, Sept. 24, 2005, gage height, 2.68 ft.